The BBC and Al Jazeera English have produced investigative documentaries in recent months working alongside BIRN’s in-house investigative team. BIRN has collaborated with the BBC and Al Jazeera English in recent months to investigate the far-right in the Balkans and a secretive arms pipeline to Syria. The Al Jazeera English probe built on BIRN and OCCRP’s award-winning series of investigations, Making a Killing http://www.balkaninsight.com/en/page/balkan-arms-trade, which delved into how Balkan weapons were flooding the Syrian battlefields. 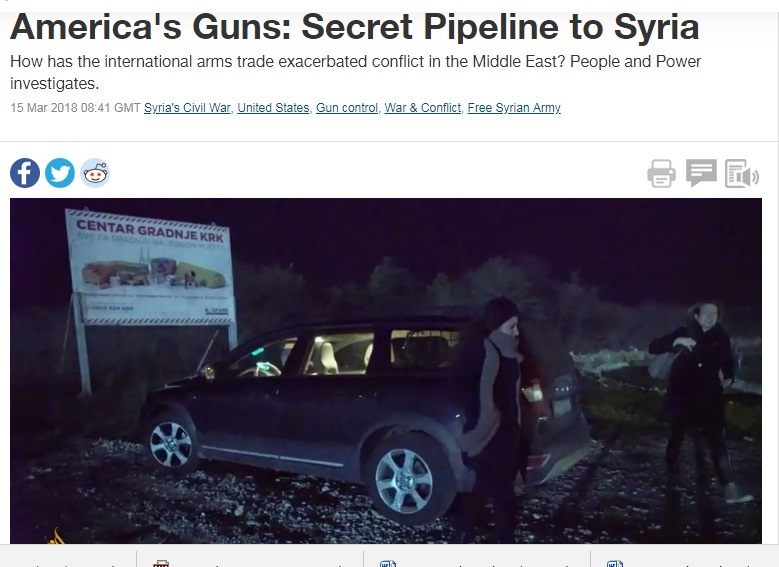 The “America’s Guns: Secret Pipeline to Syria” documentary was first broadcast in March on Al Jazeera’s People and Power show and involved filming in Croatia, Bulgaria and the US. The report brought BIRN’s findings to a wider audience, revealed the human cost of the scramble to train and equip US-backed Syrian militia. BIRN published two articles on the back of the research: Death in Bulgaria: Pentagon Contractor’s Widow Fights For Truth and US Splurges More Cash on Balkans Arms for Syria. On May 1, the BBC and BIRN published the fruits of its collaboration into the British nationalists operating in the Balkans. The BBC produced television and radio documentaries focussing on “the invisible man of Britain’s far right” – Jim Dowson – and his activities in Hungary, Bulgaria, Serbia and Kosovo: Is this Britain’s most influential far-right activist? 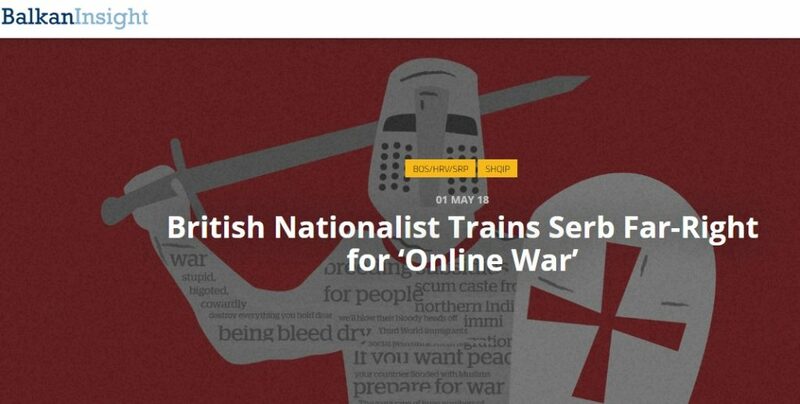 BIRN released its own investigation, focussing on how Jim Dowson and an organisation he is closely linked to are increasingly active in Serbia: British Nationalist Trains Serb Far-Right for ‘Online War. As part of the research, BIRN also employed a cyber forensic expert Andrej Petrovski of the Share Foundation, who is helping journalists improve their investigations by using cutting edge technologies. These collaborations are part of BIRN’s Paper Trail to Better Governance programme, funded by the Austrian Development Agency.